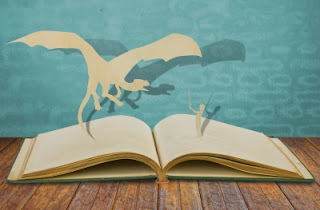 The Book Garden: The Curious Reader - What's your favorite Grimm's fairy tale? The Curious Reader - What's your favorite Grimm's fairy tale? What's your favorite Grimm's fairy tale? I have always had a soft spot for fairy tales, especially those by the Brother's Grimm. We used to own an old edition of the book that my Mom read when she was still little and which got later passed on to me. A book well loved for sure. Back when I was still a child I already had my favorite tale among them all, and maybe that's a bit of a stereotype, but that happened to be Cinderella. Actually I blame that fact on a collection of illustrated fairy tale books I owned which featured the princesses in the prettiest dresses, and well, Cinderella had the most gorgeous gown. A long time ago there were a King and Queen who said every day, "Ah, if only we had a child!" but they never had one. Being generally very fond of the fairy tales by the Brothers Grimm, I do have a couple of favorites among them. While it is quite hard to narrow it down to just one, I will try my very best *scampers off in silent contempation and returning after a hundred years, errr, days, errr, minutes*. Let's start by saying that today my taste has shifted from ashes to ... well, maybe I should blame the fact that I like taking a nap, because my favorite tale is Sleeping Beauty. You know the one where twelve good fairies bring gifts such as beauty, virtue and riches, which all ends kinda ugly when the thirteenth uninvited fairy shows up and curses the princess so she'd prick her finger and die on her 15th birthday. Any volunteers on guessing the underlying theme? Not as evident from a child's perspective, this tale is about, wait for it, sexuality. Think about it - the thirteen fairies as representatives of the 13 lunar months the year had in olden times. So not all that surprisingly you can see the curse of the thirteenth fairy as "the curse" of menstruation. Obviously nothing prevents puberty and even though the king tried to protect his daughter from the curse, the princess inevitably pricks her finger and she bleeds as every girl her age must. It's not about sleeping. It's about waking up. Sexual awakening and menstrual seclusion. Eventually the long sleep ends and the hedge parts, though we're not talking about actual hedges if you know what I mean. Bet this topic didn't come up when your granny read the tale to you. You probably wonder why I like this particular tale so much. Apart from it being a lovely bedtime story all by itself - even if you look at it solely from the angle of growing up and waiting for Mr. Right to appear - I appreciate the symbolism within. Afterthought: Much like in many of the earliest version of children's folk tales, Sleeping Beauty is actually a shockingly violent narrative. The oldest version describes the prince not as kissing the princess awake, but instead as having raped her slumbering body! And they slept happily ever after. Did you enjoy fairy tales as a child as much as I did? What is your favorite fairy tale by the Brother's Grimm? Are you aware of the meaning behind your favorite fairy tale? I'm not a fairy tale person. But I will never look at Sleeping Beauty the same after reading your post!